THREE serious derailments occurred in mid-August, bringing disruption to busy parts of the network. The first was at Ely on August 14, followed the day after by one at Waterloo, and then the third at Paddington on August 20. The Ely incident saw eleven container wagons of GBRf’s 33-wagon 4Z33/11.18 Felixstowe South-Doncaster derailed at Ely West Junction, with initial reports suggesting that instability in the embankment on the curved section of track was to blame. 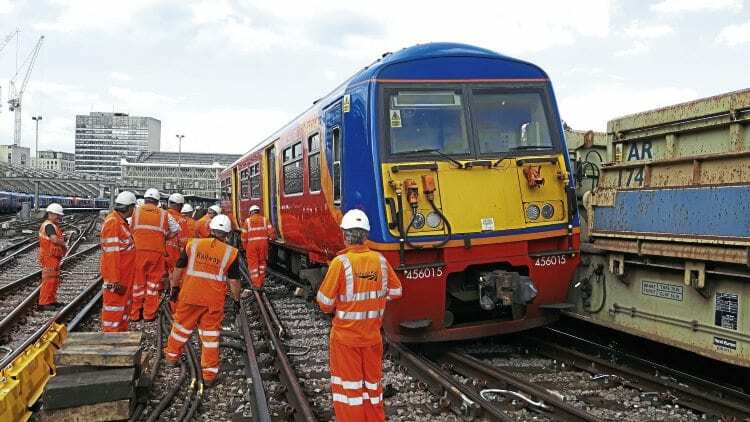 The line was closed until August 21 as a quarter of a mile of track needed replacing, during which time passenger services between Ely and Peterborough were replaced by buses, while freights were diverted via the East Coast Main Line. Read more in the October issue.